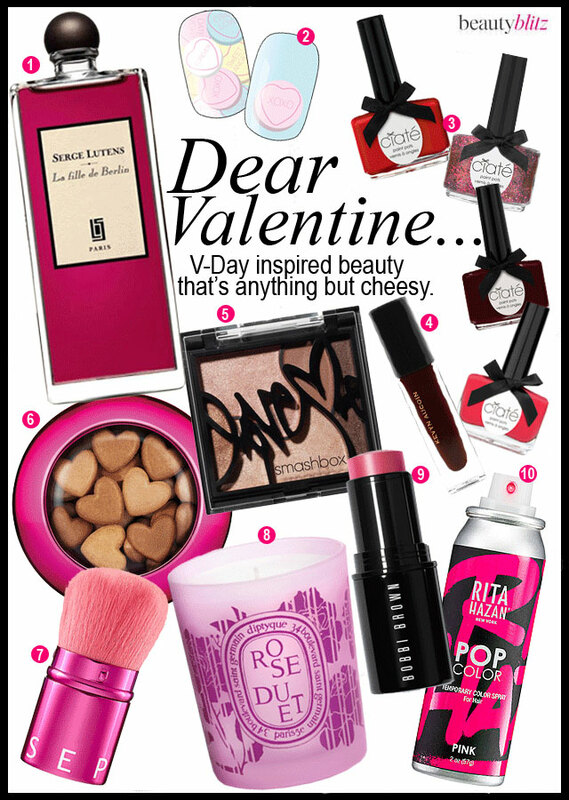 With Valentine’s Day just around the corner, we scoped out ten ways to prettify yourself for a romantic night. Lady Gaga’s Fame isn’t the only colored fragrance on the market. Serge Luten’s latest fragrance is a ruby-red liquid infused with notes of dark red rose and red pepper. It’s the perfect scent to spice up your Valentine’s Day. Instead of trying to create the perfect V-day inspired design on your nails, try these adorable Nail Rock nail wraps featuring soft pastel hues and sweet candy hearts. Pair your little red dress with a complementing red mani with these four, V-Day-approved Ciate nail lacquers. They come in a variety of beautiful pinks and reds. Shades include (pictured from top to bottom): Mistress, Love Letter, Dangerous Affair, and Play Date. The first-ever nail polish from Kevyn Aucoin Beauty is Kevyn’s favorite color. Bloodroses is a deep berry plum shade with a black base that will vamp up your mani on Valentine’s Day. Smashbox and street artist Curtis Kulig have teamed up for this epic spring 2013 collection inspired by Curtis’ ‘Love Me’ art. This compact eye palette is equipped with five shimmery neutrals that will look gorgeous when paired with a bright red lip. Get a beautiful glow and boost your senses for that hot date with this bronzing veil from Physicians Formula. The shimmery powder comes in the form of little hearts made of bronze and gold micropearls and a sweet, Violet scent. Stash this adorable brush in your bag for additional touch-ups throughout the night. The medium-size, soft bristles are ideal for all over application. This limited edition candle combines two of Diptyque’s iconic scents, rose and baies. Your home will smell like a beautiful bouquet of roses for much longer than the lifespan of real flowers. Apply this sheer veil of cream blush on the apples of your cheeks for a natural flush. The lightweight formula glides on easily and blends into the skin in a cinch. 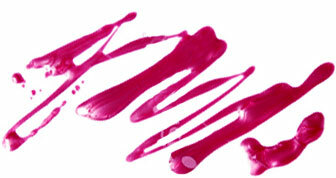 Get into the V-Day spirit by giving yourself pink streaks or tips. The temporary Pop Color Spray goes on like hairspray and washes out easily after one shampoo.